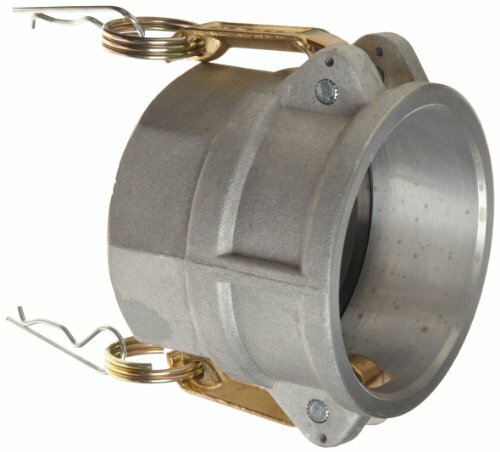 The Dixon global Type D aluminum A380 cam and groove fitting has a straight body with two openings for connecting two hoses or pipes with cam and groove fittings or threads. It has one female cam coupler end for connecting to male groove adapters and one NPT female threaded end for connecting to an NPT male threaded connection (Type D). 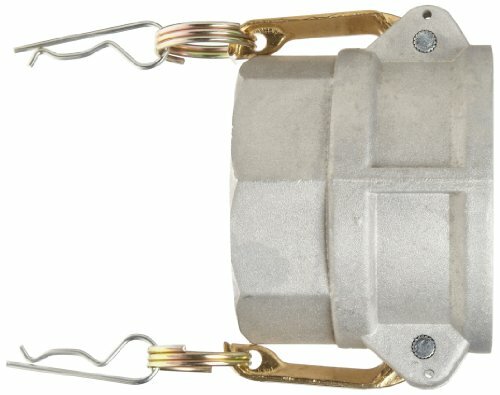 The body is made of aluminum for corrosion and tarnish resistance, and it has cam lock levers for locking the fitting's male groove adapter into female cam couplers. A nitrile butadiene rubber (Buna-N) seal provides a leak-tight fit that is rated for petroleum service, ethanol to E100, and biodiesel to B20. This Dixon cam and groove fitting is suitable for use in commercial or industrial flow systems, such as water transport and treatment, waste management, and in petroleum systems, among others, but it should not be used in compressed air or steam applications. Single V Grooved Pulley, 3/8"